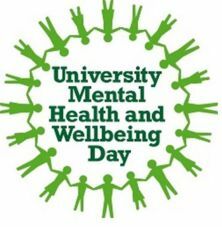 The Student Counselling & Mental Health Service (LEaD) is proud to announce the events planned for University Mental Health and Wellbeing Day, a national initiative which aims to promote wellbeing and reduce stigma and discrimination surrounding mental ill-health. 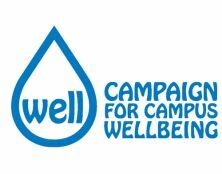 In partnership with the university's Well Campaign and Sodexo catering there will be something for everyone. Talks and workshops for staff and students. Conversation café - An opportunity to speak with people with lived experiences of mental health conditions over tea and cake. Freebies to help improve your wellbeing. Quiz and photo scavenger hunt with great prizes from the Student Counselling & Mental Health Service and Sodexo. Interactive stalls from the Student Mental Health Team, the Health Centre, Academic Learning Support, Sodexo, Bipolar UK, ICope (NHS), Nafsiyat, Story heroes and staff LGBT+ and a new biofeedback game from Shift design. Student Counselling Team Q and A - come and speak with members of the Student Counselling Team to find out more about counselling and the range of support offered by the service. A wellbeing theme to catering outlets throughout the week.